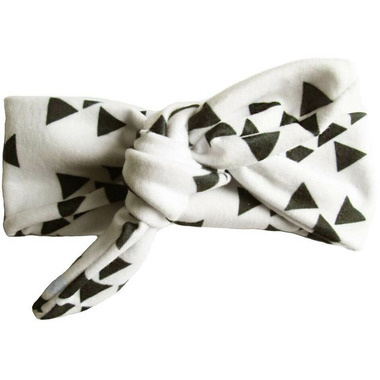 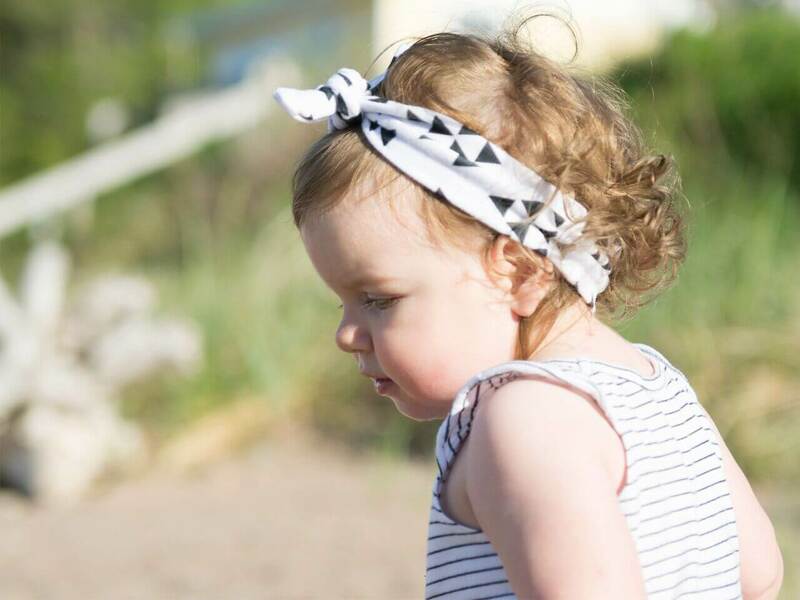 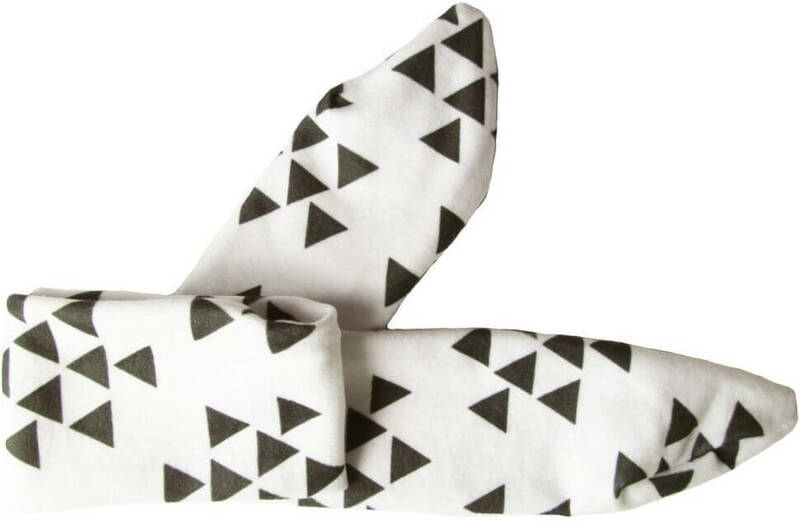 Soft cotton blend fabric headband with a fun geometric pattern. 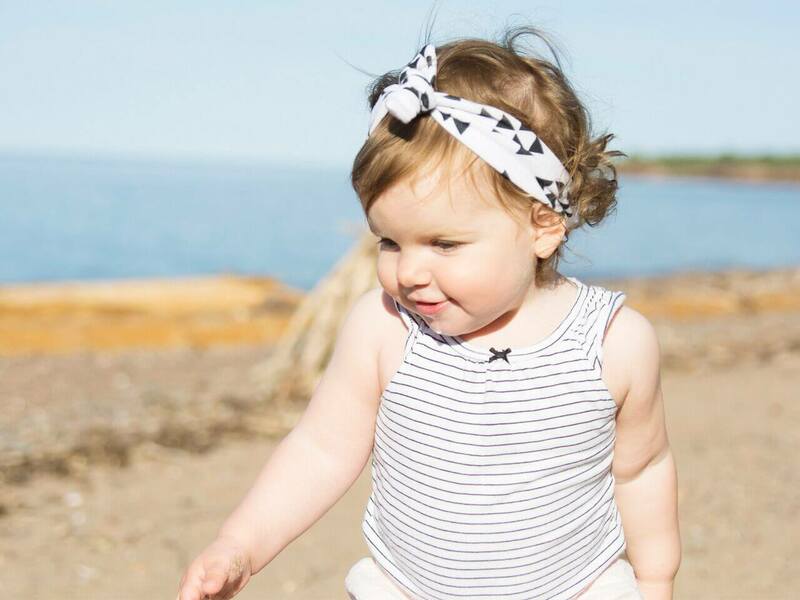 Be creative with the tie of the top knot to customize your baby's style and fit! 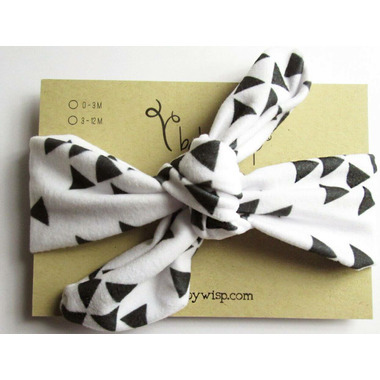 Perfect for stylish babies and reminiscent of our war time hero mommies who used to wear the bandanas on their heads.